Bayern Munich vs Paris Saint-Germain F.C. The World Cup contingent will not be available. ramsej84 wrote: What game is this??? Anyone knows what the squads for either team will look like? Javi Martinez is inj, no? Can someone sum up press conference for us non german speakers? ramsej84 wrote: Javi Martinez is inj, no? Will be shown on these Sat channels. Please note the kick-off time "change" (it's incorrect on the Bayern site, not sure if kick-off was changed or if it's always been incorrect on the Bayern site). 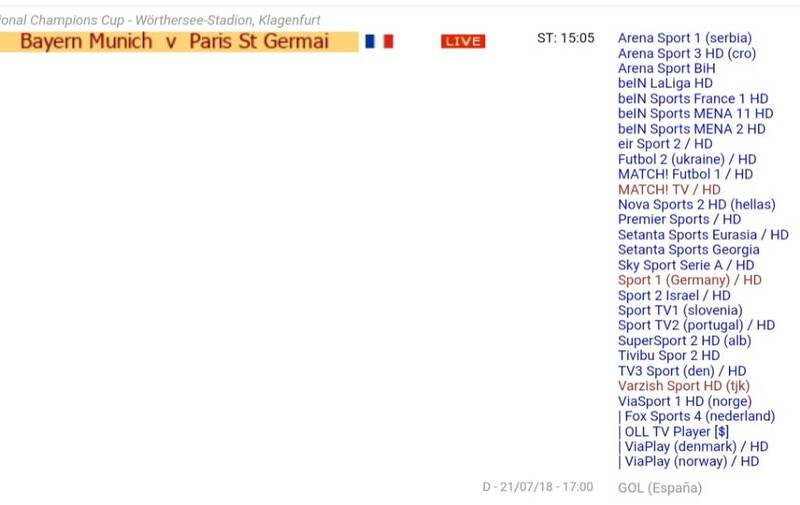 At least according to https://en.psg.fr/news/first-team/its-i ... s-cup-time it's kicking off at 16:05, kicker say 16:00 and Google also say 16:05. Bayernbazi wrote: Will be shown on these Sat channels.